University of the Pacific students stood among tall trees under clear, blue skies as mist floated down from Yosemite Falls and leaned in closer to hear John Muir's words. On the 150th anniversary of his arrival in California and Yosemite Valley - "God's Cathedral" - they were rapt by stories told in the Scottish cadence of Muir's homeland - stories of living, working and exploring in Yosemite. "There was no better way to be fully immersed in Yosemite than to be led on a tour by John Muir himself," said Sarah Hess '21, a history major on a bus trip to Yosemite National Park as part of "The Practical John Muir" symposium March 23-24. She was referring to actor Frank Helling who played Muir. "He was engaging and knowledgeable. ... I definitely better understand why John Muir was so enamored with Yosemite. It's an idyllic and breathtaking place." Health, Exercise and Sport Sciences major Melanie Pio '20 agreed. "The walk around the trail was the best part, and the talk matched the hike," said Pio. "It was better to hear from that perspective." Visitors not with the Pacific group of 50 or so stopped to gleefully take photos with Helling's John Muir in the background. 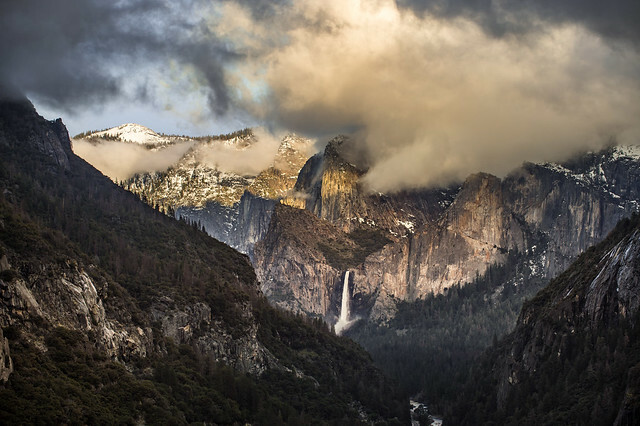 The day-long trip followed Muir's approximate route to Yosemite with Helling regaling stories of the natural history and geology of the Central Valley, Sierra Nevada and Yosemite. In white beard, period garb, fedora and a walking stick, Helling sauntered - Muir's preferred term for his treks into nature - with students, fellow enthusiasts and Muir descendants along the path to Yosemite Falls where Muir spent much of his first seven years in California. The trip was followed by a reception at the University Library on the Stockton Campus, home of the Holt-Atherton Special Collections where the John Muir Papers reside. The following day more than 130 symposium participants heard of Muir's many sides from Muir's great-great-great grandson Robert Hanna, Muir scholars, and Lee Stetson, a Muir reenactor and author of "The Wild Muir: Twenty-Two of John Muir's Greatest Adventures." "Muir was more than a European-style Renaissance person," said Bill Swagerty, co-director of Pacific's John Muir Center and an organizer of the event. "He was practical, not just cerebral and artistic. He had very broad interests and inquiries, but was also very deep in his investigations of those interests. More importantly, as we learned during the symposium, Muir's talent for understanding complex scientific concepts, places him among few in history." Attendees were also able to view related student research projects and interact with Muir descendants attending the symposium. "Pacific has been curating the John Muir Papers for nearly 50 years and the symposia give us yet another way to share the ideas and message of American's premier naturalist," said Mike Wurtz, head of Pacific's Holt-Atherton Special Collections. "It is wonderful to see how students and scholars are accessing the papers via our website and discovering new ways to interpret Muir's legacy." The weekend's events were part of the California History Institute, founded in 1948 as an annual conference at which students and scholars would look at a single major issue in California's development. The conferences are now every four years and the most recent have looked at various parts of John Muir's life. The largest collection of John Muir's journals, notebooks, sketches, manuscripts and other materials were entrusted with Pacific in 1970, partly because several Muir descendants have attended Pacific over the years. The family was honored in 2009 with Pacific's Alumni Association Outstanding Family Award. The collection includes Muir's writing desk and two bookshelves holding hundreds of his personal books, some of them with his scrawled notes in the margins. Gladys Hanna, the widow of Muir's grandson, Ross Hanna, recently donated the William Keith painting of Vernal Fall that hung in Muir's Martinez home and later in the Hanna's Dixon home. Muir's descendants continue to support Pacific's efforts to promote his legacy and add to the collection. "Thanks to the continuing relationship with the family and friends, we added four new Muir collections to the archives [during the symposium]," Wurtz said. "Pacific brings alive lesser-known Muir 150 years after he lands in California"
"We knew it already, but Pacific is a 'Cool School'"
"Muir Legacy at Pacific" "Sustaining Pacific"